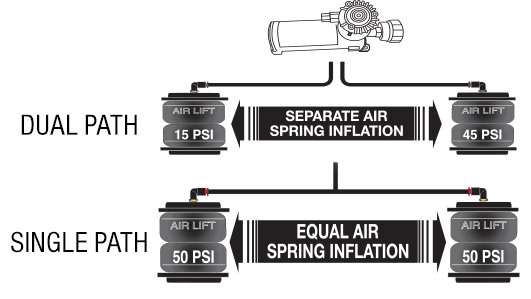 First things first…what is an on-board air compressor? You probably know that air spring suspension is the most versatile suspension system out there…and a compressor system is what makes the springs adjustable and ready for any load. An on-board air compressor is a system that allows you to adjust the air pressure in your air springs from the touch of a button. Because of this, you can easily adjust the load support and leveling capacity of your vehicle…so this comes in handy, especially when you’re towing or hauling some heavy loads. That sounds pretty solid. Now…which one is right for me? 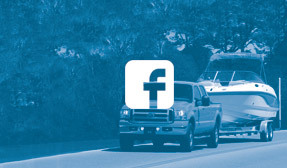 Question 1: What are you towing/hauling? 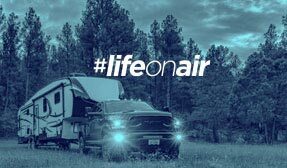 Maybe you have a slide-in camper for your truck—and the weight of the built-in appliances and your family’s luggage is all on one side of the vehicle. Obviously, that makes for a pretty uneven load…but Air Lift was prepared for that. If you tend to haul uneven loads, you’ll want a dual-path on-board air compressor system. The dual-path system is so named because it inflates each of your air springs independently of one another, allowing you to provide extra support for the heavier end of your load. On the flip side, if you generally haul loads with an even weight distribution, you might like the single-path compressor system. The difference is that it will adjust your air springs simultaneously, ensuring that you don’t needlessly inflate or deflate them unevenly. Learn more about the difference between single-path and dual-path compressor systems. Question 2: How frequently do you tow/haul? Do you tow and haul like it’s your job? …or is towing and hauling literally your job? If your source of income involves hauling heavy loads, then you need a compressor system that you can count on to keep you safe and level. In your case, you want an on-board air compressor system with a heavy duty compressor. They fill the air springs faster and last longer than standard duty compressors. You’ll also want a heavy-duty compressor if you need to inflate your springs to higher pressures (which is the case if you are using it for a motorhome). If you’re not such a frequent tower/hauler, then you should be good to go with a standard-duty compressor. Question 3: What type of controller do you want? You can choose between wireless, mounted or automatic. Mounted (LoadController series) is a less expensive system, but it requires a bit more time and effort to install. Installation involves routing air line and wiring to your dashboard, or wherever you will mount the controller. Automatic (SmartAir) is available for applications with leaf springs, and automatically levels your vehicle with no need for a controller. If you like a low-maintenance lifestyle, maybe this is your perfect pick. Learn more about the difference between wireless and analog (mounted) compressor systems. 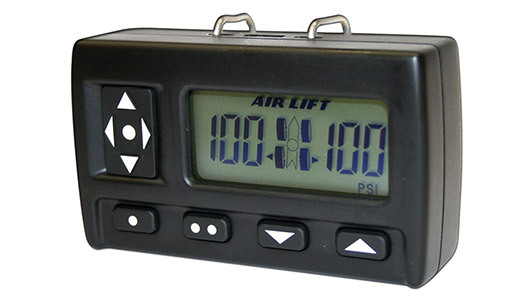 No matter what you need, Air Lift has something for you. And whatever you choose, you’re going to love the convenience, adjustability, and stability that comes with your investment in an Air Lift on-board air compressor system.